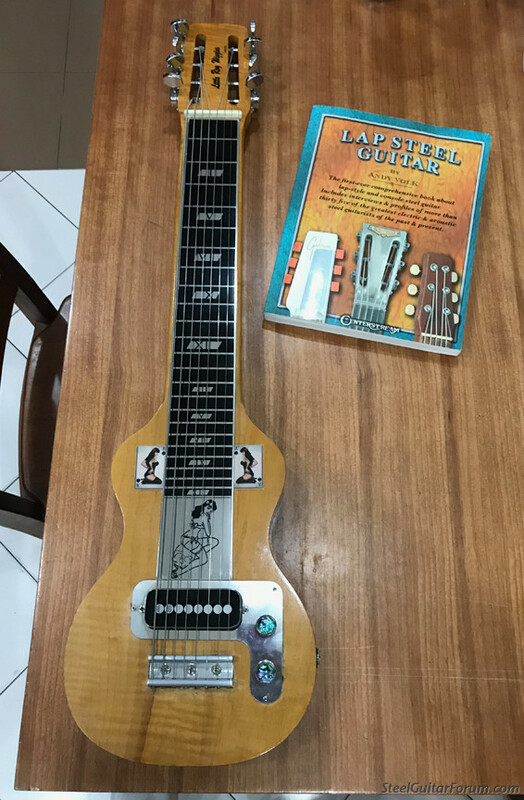 I am a member at Steel Guitar Forum and have a question for you. 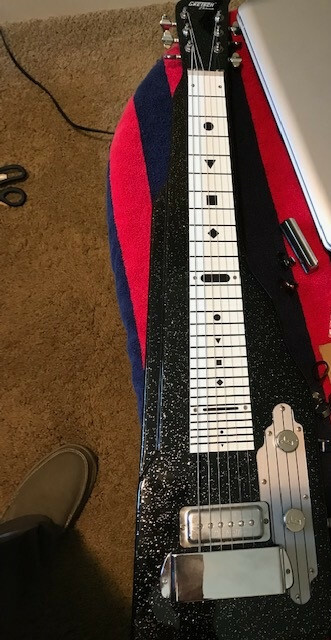 How high should the strings be at the bridge and nut? Are they the same height? Also, how far apart should the strings be? Tried to measure the string height and I think it is 1/4 inches high at nut and maybe slightly higher at bridge. The distance between strings is 3/8 inches. Spacing between strings depends on your pickup. I've been using Alumatone pickups lately so spacing isn't as important as a pickup with individual poles. Wow, thanks for the quick reply. That height is almost double what I have (1/4 to 7/16). The width at the nut is the same but the bridge a bit wider. Do you think my settings are too tight? Many people use string widths at 3/8". I think you just need to play a bit more and get used to your steel. The reason I use .400 is, I'm lazy......it makes the math a lot easier when drilling the holes in the bridge for the strings. I don't groove the bridge rod, the string spacing comes from the holes in the base. I do think 1/4" isn't much room under the strings. One last question... do you recommend a nut and bridge replacement? Or another guitar? Your guitar is probably just fine. A quarter makes a pretty good guage for string height (over the pickup). 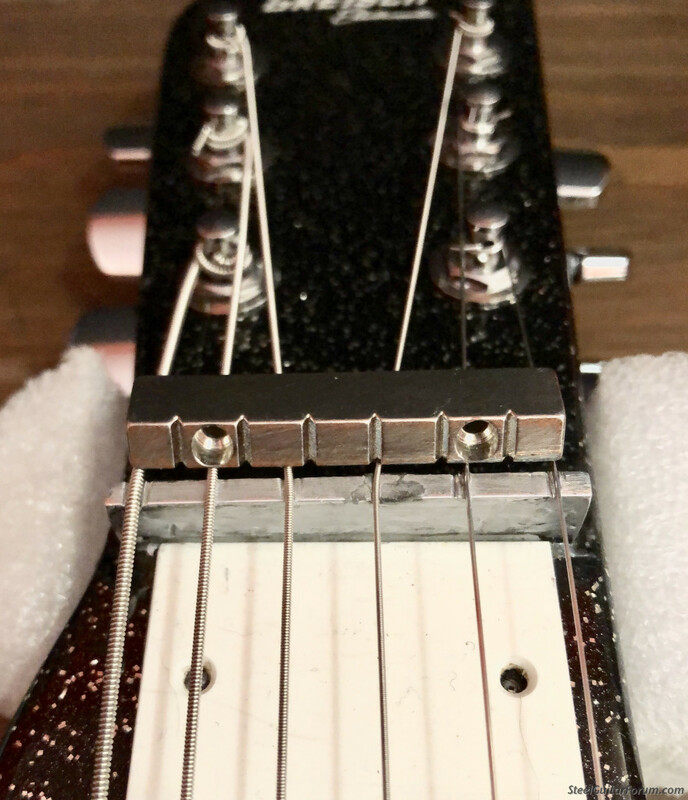 I tried one of those reissue Gretsch lap steels a couple of years ago and the first thing I noticed was how close the strings were. I had a hard time playing it. a great source for a well made nut. String height at Nut & Bridge only need be the same if you expect to use one of those capos. Other than that, I can't think of a reason it would matter. 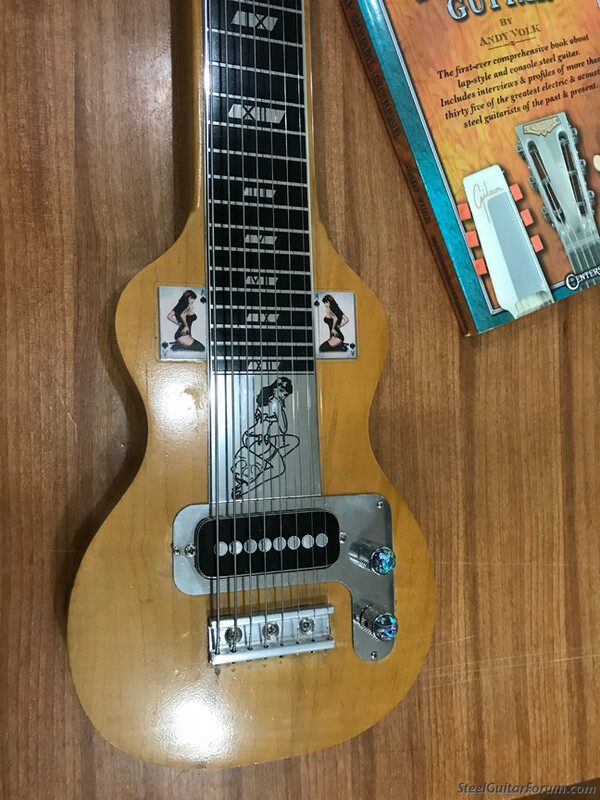 Keep it high enough to avoid scratching the fretboard. 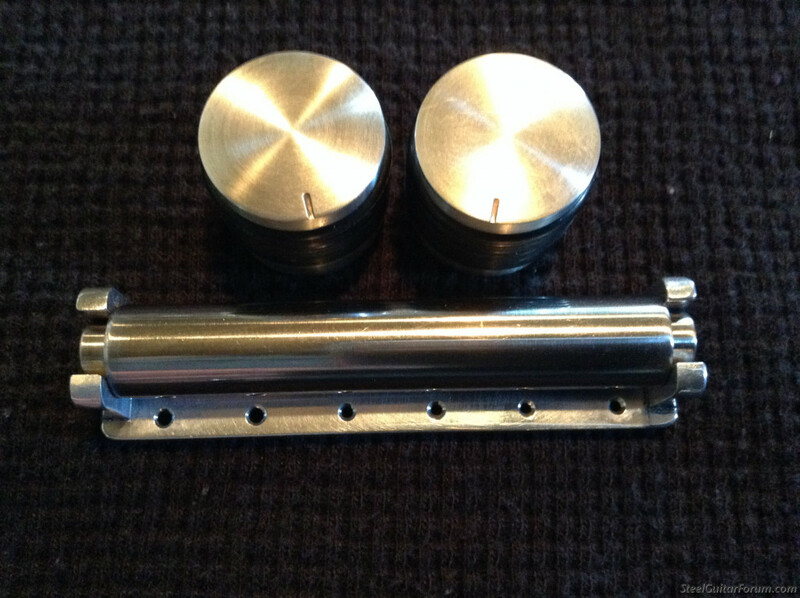 I also made new wider nut & bridge for my old 8 string Morrell lap steel. Much better with the 3/8" at the bridge and 5/16" at the nut than what it had when I got it. A littler wider is also okay IMHO.